This year is new, improved and like never before! Camp Pac West, serving Union City, Newark, Fremont, Hayward and the entire Bay Area, invites your children to experience 12 action packed weeks of Summer Camp fun for ages 3 and up! 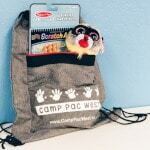 Enroll in Full Week Camp by May 1st and receive a Camp Pac West Prize Pack, including a drawstring bag, Beanie Baby and Melissa & Doug Scratch Art Pad! High Energy, Structured Activies and more! 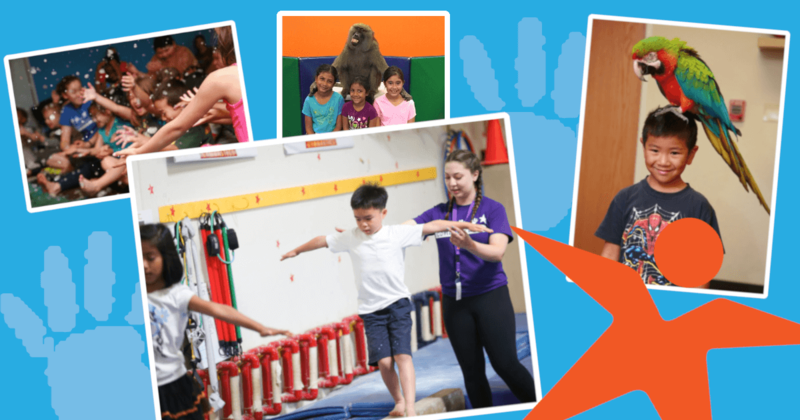 Our camps are filled with high energy, structured activities for your active kids and incorporates gymnastics, science experiments, arts & crafts and cooking every single week! Campers will enjoy healthy snacks such as fruits, vegetables and yogurt, structured gymnastics classes, plus we take care of lunch on Fridays! Come in for a day, a week or the whole Summer, and we promise it’ll always be a new experience! Fun activities: Gymnastics, Art, Tae Kwon Do, Science, Cooking and more! Check out all the fun things Camp Pac West has in store for your kids! Weekly Special Guests at both locations to wow and amaze your children! For AM or PM Half Day Daily Camps, see Fremont location below. Space is limited, enroll online! Enroll online to secure your child's registration. Yes! Enroll by May 1st and receive a Camp Pac West Prize Pack, valued at $25. The Prize Pack includes a Camp Pac West drawstring bag, Melissa & Doug scratch art pad and Teeny TY! What if I need to drop off early or pick up late? No problem! Full Day Camp runs from 7:30am to 6pm! What types of snacks are included with camp? Campers will enjoy healthy snacks such as fruits, vegetables, yogurt, cheese and whole grain crackers. Do I have to sign up for the entire week, or can I sign up for a single day? You do not have to sign up for an entire week. Choose from single day drop in, multi-day, full week or multi-week. Camp Pac West’s flexible scheduling allows you to pick the dates that fit your needs! Camp Pac West keeps a 10 student per 1 instructor ratio, which allows our groups to stay small and our instructors to provide individual attention! Does my child have to be potty trained to attend camp? Yes. All children must be fully potty trained in order to attend Camp Pac West.